Right now in the world of console gaming, everyone’s favorite buzz term is “HD era”. In PC gaming, it’s all about “episodic content.” Everyone is talking about the concept of delivering smaller chunks of gaming more quickly and possibly with customized content based on user reactions. Unfortunately, the talk is mostly hot air. For one, very few developers have released anything episodic for us to judge, and those that are out there are either a little too indy (Bone) or not quite up to snuff (Sin). Fortunately, the biggest supporters of the idea, Valve Software, have finally given us Half Life 2: Episode 1, the first of many sequel stories to their smash hit. Maybe now we can finally see what this episodic content stuff is all about. I can think of at least one issue with episodic content; even when we have something to review, how do we review it? The answer might not be so obvious. Look around the ‘net, and you’ll find that most discussion on episodic gaming has nothing to do with quality. Rather, the questions are often about cost and value (is $20 worth it for five hours of gaming? ), development time, and DRM (most episodic content is download only, and even those that can be bought at retail require you to use Valve’s Steam service to play). When gamers see the words “Episodic content,” it causes an immediate red alert in their minds, followed by visions of a PC market that tries to squeeze every last dime out of consumers while keeping them under a leash of Draconian copy protection and licensing issues. These fears are not unreasonable, but should we let them affect our evaluation of a game? I thought not at first, but while playing Episode 1, there were certain elements of the experience that I couldn’t separate from the game’s serial nature. It has shown me some very promising, as well as very troublesome issues that episodic content can entail. Half Life 2 was a blockbuster game in every sense of the word. 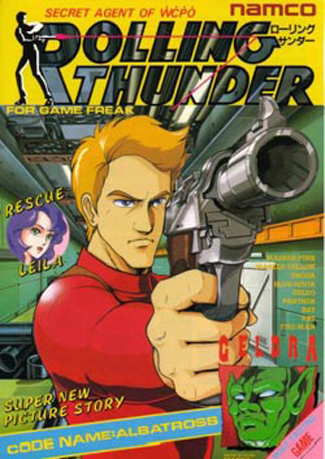 It contained just about every mechanic and concept from modern shooters, did them all extremely well, and combined them with some strong innovations (such as the gravity gun and excellent virtual characters). Simply put, it had it all. When you try to cram all that stuff into one game, you can’t give particular focus to any one aspect. There’s just not enough time, or worse yet, it could break the game’s impeccable pacing. 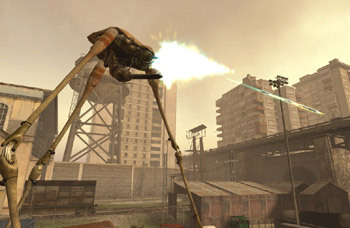 While being stuffed with mechanics certainly did not take anything away from the game, it was easy to see that so much more could be done with Half Life 2 and the Source engine. With Episode 1, Valve has that chance. Working with maybe five or six hours of gameplay, they have an environment in which they can focus on just a few aspects, and drive home particular themes without drawing things out and putting the player to sleep. 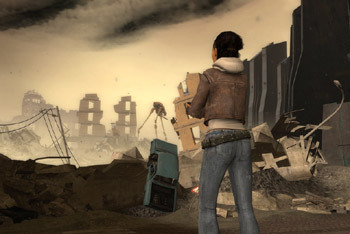 In Episode 1, they have chosen to focus on their innovations; the Gravity Gun, and the digital actors, more specifically heroine Alyx Vance, who is with you throughout the entire game. I don’t think this kind of attention could be given in a full length game, as the gameplay would most likely be stretched too thin, thus boring the player before it is over. Instead we have a short, sweet nugget of gameplay in which these innovations can take center stage, providing some of the best moments in the entire Half Life 2 saga. The Gravity Gun is put to good use, especially early on, when it’s used both as a weapon and as the key to some clever and challenging puzzles that far surpass the ones found in the original game (which were mainly based on elementary physics). Standing around looking angsty never solved anything. Later on it continues to be useful as you are forced to find crafty ways to combat the often large hoards of enemies that come at you, though eventually it takes a backseat to the normal gun-to-gun combat of the endgame. The Gravity Gun has proven to be just as useful and interesting as it was in prior games, and Valve has shown us that solid physics in an FPS can be used for more than just gimmicks and jokes. As for Ms. Vance, we need a brand new bullet point. Episode 1 uses a modified version of the Source engine. It includes the very best of Valve’s new High Definition Rendering tricks, as well as much more advanced AI routines for Alyx. This becomes a double edged sword. The original Source engine was a marvel in technical design, in that it could run smoothly on a huge range of hardware specifications. However, it still had its fair share of glitches, particularly an issue with long load times and strange stuttering during loads and saves. These issues are not quite as bad in Ep. 1, but they have been offset by some serious stability issues. The game often crashed or locked up on me at various intervals, and apparently it is a rather frequent issue for many other gamers. I don’t think I’ve ever had to tweak a game quite so much to get it playable. While it is nice to see Valve continue to improve upon their baby, I would have liked even more for them to be able to iron out the technical issues beforehand. If they are going to continue to make changes in the future, I can only hope they improve their testing. I have absolutely no issues with Alyx. In fact, she is perhaps the most impressive NPC I’ve worked with in a game. While most developers are still struggling to create competent AI partners, Alyx is an absolute dream to tag along with. She’s an able fighter, so much so that at certain points you’ll need to rely on her alone to combat enemies. Her pathfinding is never troublesome, and you can always rely on her to operate turrets or alert you to dangers. Considering she is always by your side, this kind of quality is essential. More importantly, at least from an emotional standpoint, is how naturally Alyx behaves. She’ll cover her eyes when you shine a light at her, and will cower in fear during the more downtrodden areas. Her motions and facial expressions are as natural and convincing as ever, and once you see her cracking jokes and making small talk you’ll swear she is a real person. RPG makers take note; this is how you create good dialogue and character investment. This is a character you can really care about (and when future episodes roll out, I’m sure we will). Yeah, you get that one. Thanks. Episode 1 is all about survival. City 17 is a living hell, and the daunting Citadel is on the brink of destruction. 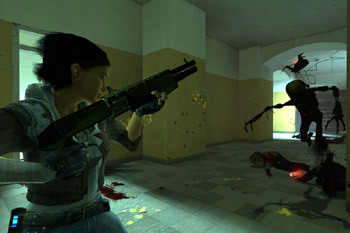 After a tremendous effort in HL2, Gordon and Alyx are must find a way out of the city at any cost. Valve has done a fine job at stirring up emotions and immersion that before they had little time to dwell on. There are constant environmental hazards to deal with, and through most of the game you are outmanned and outgunned. Overall, this is a more difficult experience than its predecessor, requiring the player to think and act quickly if they wish to live. A perfect example is an early scene, in which you still don’t have a weapon, where Antlions are constantly spawning from several burrows. You have to traverse several levels of a parking garage in order to find items to block the holes with, while constantly fending off Antlions and making sure Alyx isn’t overwhelmed. There are many scenarios like this sprinkled throughout the game, and as you make your way through dark sewers and broken buildings, the sense of accomplishment is grand. You’ll never be so happy to see sunlight in a game. That is, until the troops start firing at you. The only issue with this approach is that Ep1 can be a little too difficult at times, forcing some players to reload more frequently than they may have in HL2. Still, the depressing, powerful feelings of dread, and the sense of accomplishment one gets from overcoming these environments more than outweighs the trouble. If every episodic game can deliver this kind of concentrated gaming goodness for $20, I don’t think I’ll be scoffing at the price. There are still many issues to resolve when it comes to episodic content, but this is a fine start. Episodic content could very much be like a micro brew. It’s a little smaller, and a little pricier, but with a little care and attention to detail, developers can create experiences that equal or surpass the original, while exploring unique new concepts. There’s no guarantee that others will follow in Valve’s footsteps, but I’m a lot less skeptical about how fun an episode can be. Let’s just hope that next time, said experience doesn’t require 6-7 restarts to complete. I’m surprised Alyx didn’t get impatient with me. Well, I’m sorry to here that you had problems with your PC rig when playing the game. I had these problems for the original Half-life 2, but once I added 512MB of RAM (totally 1GB), all those problems went away. I even have a fairly old video card, an ATI Radeon 9800 Pro from over 2 years ago ( I gety high settings on everything with 4X AA at 1024×768). But I have to warn you: no PC developer can ever develop a game that can get rid of all bugs when considering the astronomical amount of configurations you can have with PC hardware. It simply can’t be done. Try getting a RAM expansion. Got mine at Best Buy for $40 last year, so it might even be cheaper. The one thing I loved about this game was the hug. Yes, the hug. That simple embrace will go down in history as just too damn cool. Hey Matt: I was running a 9800 Pro as well, with a gig or ram. Definitely wasn’t a hardware issue. Having played PC games for quite a many years, I understand they can’t get it perfect. No one will. My problem was that HL2 is two years old now, and some of the problems they had with it still haven’t been fixed, despite numerous attempts. With Episode 1 they’ve only gotten worse, and there doesn’t seem to be a reason for it. Other Valve games use HDR without trouble, so no one really knows what’s causing these glitches. That’s what makes then frustrating.